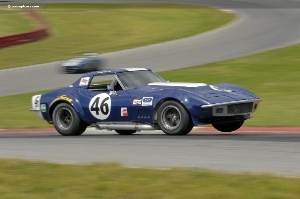 Recently, the SVRA went racing at Mid-Ohio's 2.4-mile, 15-turn racing circuit. This years event paid homage to the history and heritage of the Mini Cooper and its over 40 years of commercial and racing success. Along with the excitement on the track, the event included a British Car Showdown and Concours d'Elegance. With ten groups of cars divided up by vehicle type and various other specs, the track was full of racing action. There were two enduro races with the first taking to the track on Friday and the second on Sunday. In the first 60-minute endurance race, the Lotus 23b driven by Travis Engen outclassed the rest of the field and finished in first place. The Second enduro was won by Shelby Mershon in a Lola 97/20.